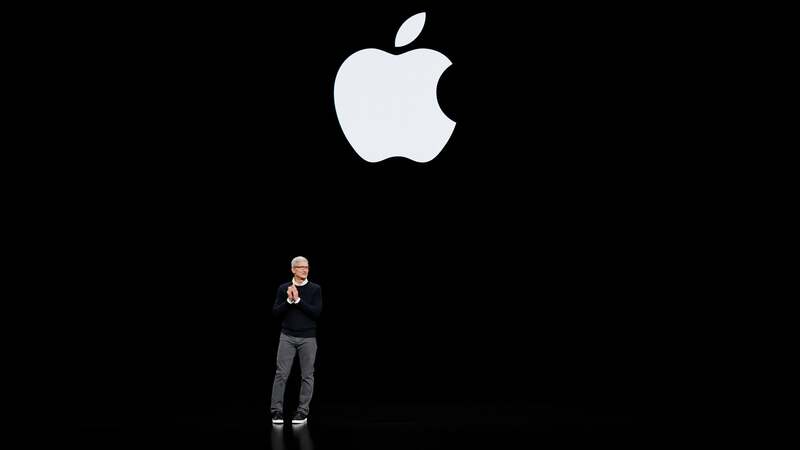 Apple’s highly anticipated, celebrity-studded services event didn’t disappoint in two specific regards. One, there were a lot of celebrities present. Two, there were also a lot of new services announced. It’s hard to say which was more exciting. In a way, the celebrities were an afterthought. Apple opened the event with several major upgrades to existing apps and services, starting with a new magazine and newspaper subscription offering called Apple News+. Then, came a new, apparently very slick credit card called the Apple Card. There’s also an entirely new gaming service called Apple Arcade. 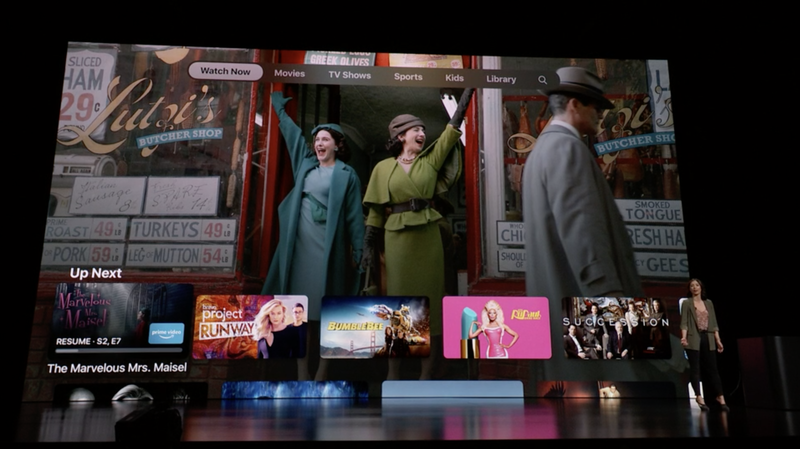 Then the new Apple TV app and the completely new Apple TV+ service, which was the part all the celebrities talked about. 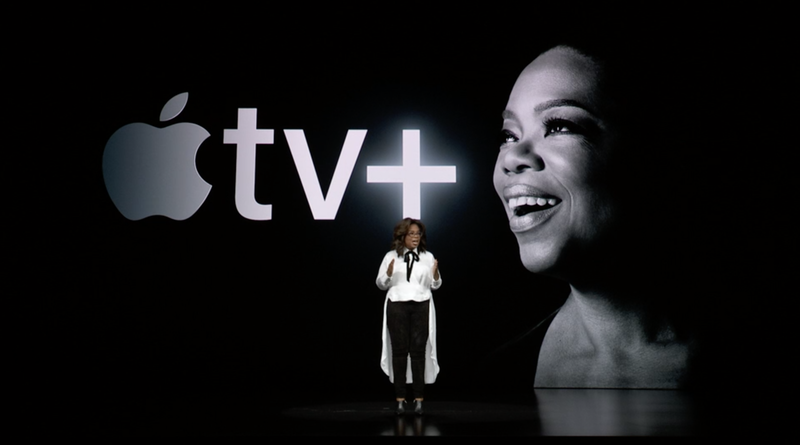 It was a weird Apple event, if only because there’s never really been one like it. While it weirdly felt like an awards ceremony at times — with Hollywood A-listers patting themselves and Apple on the back for doing great things — some of the new Apple services look pretty cool. Let’s talk through them. 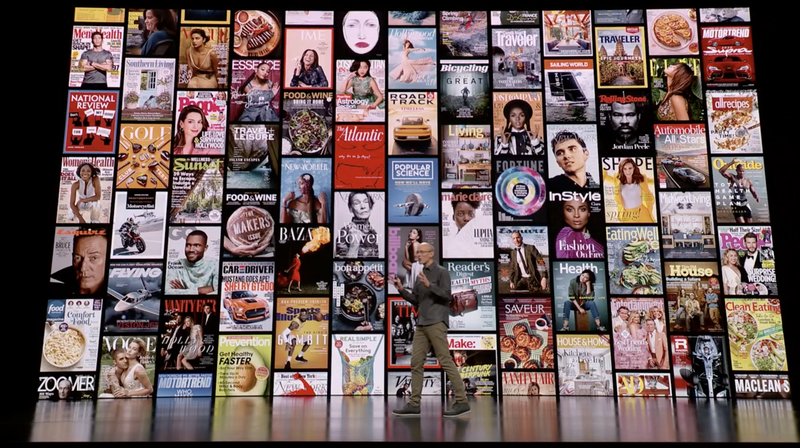 Tim Cook opened up the event with a cute little story about how he likes going to the newsstand and looking at all the magazine covers. This is quaint because it’s increasingly hard to find a newsstand, which is probably why Apple talked about enlisting over 300 magazines — including National Geographic, Popular Science, Billboard, The New Yorker, Sports Illustrated, New York Magazine, and Variety — for its new Apple News+ program. Apple News+ will show up as a new tab in the Apple News app. The new tab essentially looks like a redesigned version of Texture, a digital magazine subscription service that Apple acquired last year. Apple News+ is pretty straightforward. For $14 a month, you get access to all those magazines as well as some newspapers, including The Los Angeles Times and The Wall Street Journal. You will not get access to The New York Times or The Washington Post, apparently, because Apple wanted to keep half of the subscription fees. 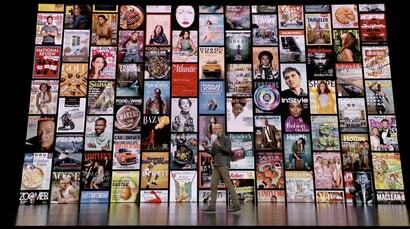 Apple News+ will work on the iPhone, iPad, as well as the Mac. Apple also says the new subscription service will not allow advertisers to track what you read and target ads accordingly. It will be available through a software update later today. Tim Cook says that Apple Pay is incredibly successful, so successful that Apple is expanding it by offering its own credit card (with help from Goldman Sachs). The new Apple Card actually sounds a lot like a regular credit card. 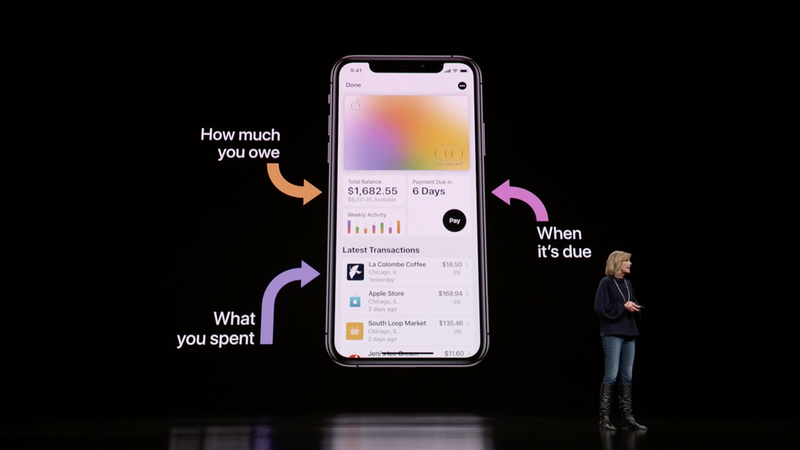 You do get some rewards: 3 per cent cash back (Apple calls this “Daily Cash) on Apple purchases, 2 per cent on other purchases, and 1 per cent on purchases made with the physical card. You also get some tools within the Wallet app that help you track and categorise your spending as well as make smart decisions when it comes to making payments. Notably, there are no annual fees, no late fees, no hidden fees, no international fees, no over-the-limit fees. 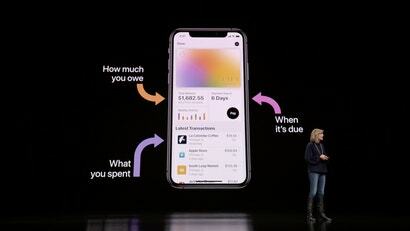 According to Apple: “No fees.” As the fine print on Apple’s website points out, however, missing payments will lead to increased interest charges. Our friends over at Lifehacker say it’s a pretty “average rewards card,” and we’re inclined to agree. The Apple Card will be available later this year. You can sign up to get notified about availability on Apple’s website. Because March wouldn’t be complete without another video game service announcement, Apple just gave us a preview of Apple Arcade. The name is actually handily descriptive because the service is basically a whole section of games built just for Apple devices and only available on Apple devices. To be more specific, Apple Arcade will become a new section of the App Store, and for a fee, you’ll get access to over 100 exclusive titles made by some of the top studios. There will even be a Sonic the Hedgehog game and a new version of Frogger. Another cool thing about Apple Arcade is that all the games work offline, so you can play on a plane or the subway. 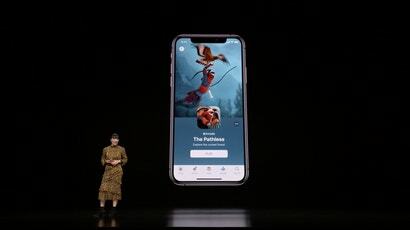 The games also work on different platforms, so you can start playing on an iPhone and then pick up where you left off with an Apple TV device. Apple Arcade games will be ad-free and won’t have any in-app purchases. As far as how much the service itself will cost, however, we don’t yet know. Apple says the service will go live this year and will cost money. OK, these were technically two separate announcements, but we’re rolling them into one section here because it’s otherwise confusing. Basically, Apple is updating the Apple TV app that’s already on millions of iOS and Apple TV devices. Apple is also making a version of the Apple TV app available for Mac as well as a bunch of smart TV platforms made by companies like Samsung and LG. On top of that, Apple will also make Apple TV apps for set-top boxes from Roku and Amazon. Apple TV+ is a whole new thing on top of the new Apple TV. Some might even say it was the star of today’s event, since announcing all of the new shows and celebrities involved took like an hour and a half. The new paid subscription video service appears to resemble an HBO competitor more than, say, Netflix. It will live in the new Apple TV app. The exclusive programming frankly sounds pretty cool. There’s a Steven Spielberg-led reboot of the sci-fi series Amazing Stories; a comedy about a TV morning news shows starring Reese Witherspoon, Jennifer Aniston, and Steve Carrell; something called Sea with Jason Momoa and Alfre Woodard that sounds simply trippy the way Momoa described it at the event; and Little America, a show about immigrants and children of immigrants produced by Kumail Nanianji. Those are just to name a few. Oh, and Ophrah is going to do a couple of documentaries. Again, Apple declined to offer any details about exactly how much Apple TV+ would cost. It will start rolling out this year with new programming being added every month. There are also a lot more celebrities and TV people involved than the ones that were on stage at the event. We can’t wait to see if all this very expensive-looking programming will be better than Apple’s first attempts at original content: Carpool Karaoke and Planet of the Apps. It’s honestly not a very high bar to clear.